Having a handy complete backup of your website and databases at your finger tips is the most security measure you can take for WordPress. Without making regular backups, You won’t feel conformable however secure is your website. An up to date complete backup of a website is the ultimate security for your website, because if your website got hacked or some files became corrupted for any reason, all you have to do is restore your website form your last backup and it will be back online within minutes or at most few hours if you have a large website. Despite the importance of backup, many webmasters, admins and site owners don’t take it seriously. Some of them rely on their web hosts to backup their sites, while other may do backups once in a while. Many don’t wake up till they found their websites are hacked or some data is lost. Click on “Backup Wizard” icon. You’ll get an email when the backup is ready. The backup will be stored in your cPanel, normally in a directory under wp-content. You need to go to that location tp download the backup and keep it in safe place. 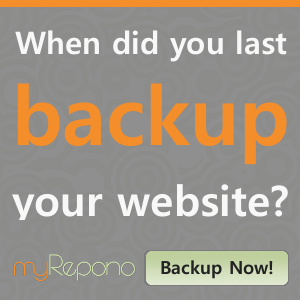 If your website is updated frequently, you need to repeat the backup process once in while. The second method to backing word press is to use a plugin. 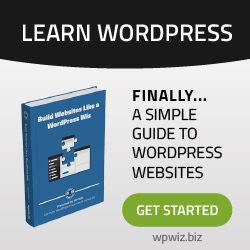 There Many WP Backup Plugins that you can use to backup your Word press Website or Blog. Each one has different features, advantages and disadvantages. Some are free and others cost some money. 5- Choose the ones with high active installs and good reviews. 6- Install Few of them, evaluate and then decide on the ones to use. All of the above are free and can perform basic backups for WordPress files and databases. Each one has advantages and disadvantages. you may have to check few of them before deciding on which one to use. Having an offsite auto backup at an external source is a wise thing to do. Some cost money, but they make you sleep better. Google Drive and DropBox are some exampls. You can schedule your backups, daily , weekly or monthly. Site auto backup provides automated website backup services for only $ .1 (10 cents) /GB – You can have full backup, or partial backup such as data bases or home directory only. 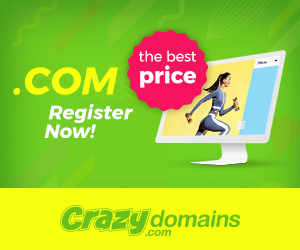 Supports reseller( VHM ) and individual cPanel accounts. very easy to use and setup. Backup Creator is a complete backup solution for WordPress. It has the ability to automatically backup the database as well as make a complete website backup. 3- Your emails, forwards and configurations. Having a complete website backups is the first line of defense to secure WordPress websites. Once your WordPress website is configured for backed up, then you can proceed to securing your WordPress site. Before thinking about securing your WordPress website, the first and the most important step is to make sure you that have a complete backup of your word press files, databases plugins, and themes, and you must have an easy access to the location of the backup so that in case any disaster happens, you can put your website online in a few minutes.